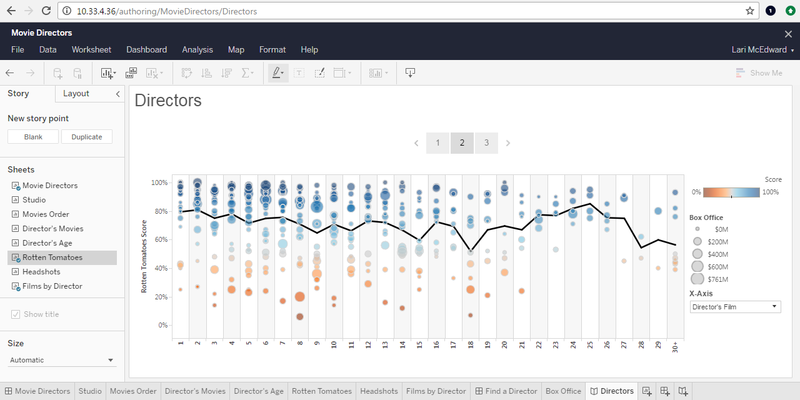 Tableau 10.3 beta is ready for testing, so here's the inside scoop on our new features. Make staying on top of your business a breeze. Data-driven alerts keep your finger on the pulse of your analytics with automatic email notifications. Plus, web authoring improvements keep everyone asking and answering questions of their data. We’re also adding accessibility support to keep your business running smoothly. Next, smarter data access. If your data is stored in a PDF table, no problem. Behind a firewall? Use a live connection with the Tableau Bridge for Tableau Online. Hidden among hundreds of similarly named tables? Table and join recommendations will help you get to the data you need. Download Tableau 10.3 beta to keep up with the latest and greatest. Our engineering team is excited to get your feedback as you put this release to the test. Take collaboration one step further with data-driven alerts. Choose a threshold to receive an email alert for yourself or your whole team. Automatic notifications help you keep an eye on benchmarks and make achieving business goals that much simpler. Select a numeric axis, hit Alert, and you’re ready to go. Try it for tracking sales goals, engagement rates, and more. New connectors get you to actionable data faster. The major highlight? 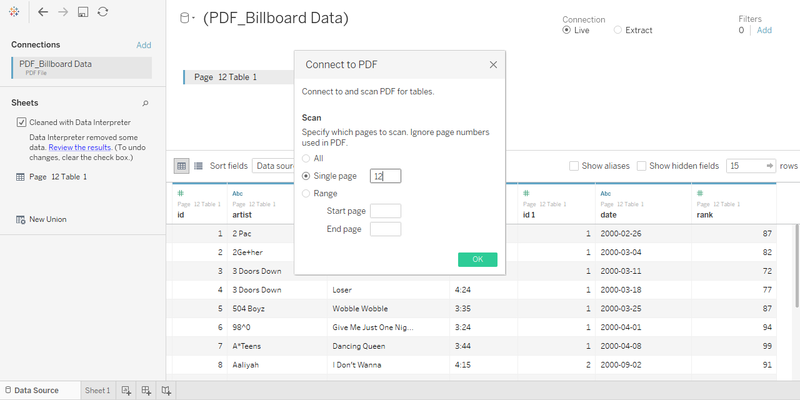 Connect to PDFs directly in Tableau Desktop, and watch your tables automatically become measures and dimensions, ready for analysis. We're also adding connectors for OneDrive, Dropbox, ServiceNow, and Amazon Athena. If you explore data from these applications, we'd love your participation in the beta program. Our goal is to expand access to more and more data sources, so everyone can get the answers they need. The Tableau Bridge upgrades the Online Sync client with significant new functionality. 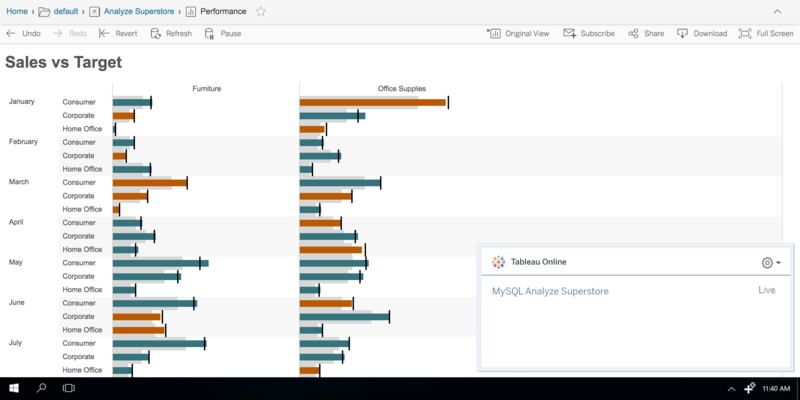 By creating a secure connection between Tableau Online and your on-premises databases, the Tableau Bridge helps you connect live to local data, even when behind a firewall. Plus, site admins get additional control and visibility into data source administration. Try the Tableau Bridge when you need up-to-the-minute information from frequently refreshed on-premises databases. We’re making data prep smarter to reduce the time spent searching for the right tables and joins. In 10.3, a new capability, built on machine learning, recommends relevant tables and joins based on aggregate data source use across your Tableau deployment. On the Data Source page in Tableau Desktop, discover which tables might assist your analysis—and which fields you’re likely to join. 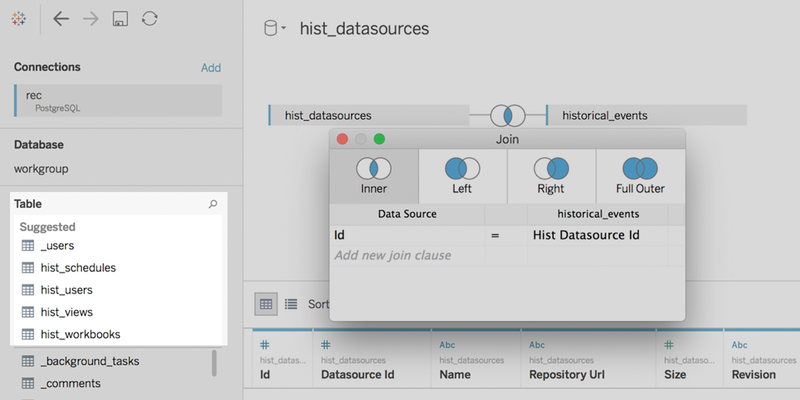 Try it for projects that require related data from multiple sources. With every release, we include new features that help you better scale and manage Tableau across your enterprise. In 10.3, you can create and edit stories online. Plus, we've added the ability to drill up on continuous axes. Soon, you'll also get better display options for maps, more number formatting controls, and calculation improvements. We continue to make accessibility a priority. The focus indicator in 10.3 makes it easy to navigate your viz with a keyboard. Plus, even more filter controls are now WCAG 2.0 AA conformant. Visit the Coming Soon page to see all features planned for Tableau 10.3. We’ll update the site throughout the beta period with more info and deep dive videos. We are working hard to get Tableau 10.3 out the door, but first we need your input! We want your feedback as early as possible to catch any issues and ensure great new features. Check out our beta program to learn more and sign up. The features included in beta and in the final version of Tableau 10.3 may change over time as we get feedback from beta users. Every release we include features that the community asks for, and 10.3 is no exception. Check out the Ideas section of the community to see which ones have been incorporated based on your feedback. And be sure to continue adding ideas to inspire our development team. We couldn’t do it without you. Not all functionality described above is available in the Beta program today. Some features will be added in the coming weeks. The beta program is available for existing Tableau customers. Customers with an active maintenance license can upgrade for free when Tableau 10.3 is released. where is ur promised feature of "hover a worksheet on our tool tip"
"Allow always showing drill down and up plus/minus buttons"
This comment came out in 12/2014 and the most recent was 01/2017. Can we PLEASE get someone capable enough to set this up. It's a combination to feeling like I'm wasting my time having to explain to users how to expand and collapse the data for a chart I didn't setup AND how stupid is it that this is not already a feature. How hard is it to accomplish this over a multi year period. Very very disappointed this simple and common request....is STILL an ongoing issue. With so many people using charts/dashboards developers create every day.....how many users/developers would benefit from this ONE request? What about having password protected workbooks, just like excel.<<<<<< This comment was blocked and unpublished because Project Honeypot indicates it came from a suspicious IP address.